What is Going to Make YOU the Next Great Leader? What Will Take YOU to the Next Level? As the workplace dynamics and life situations are rapidly evolving, there are multiple opportunities to assume leadership roles. Circumstances whether in your job or in your community or even in your family may require you to step up and lead. For example, I have seen one of the biggest and most consequential leadership roles that I have had to undertake was addressing the needs of my aging parents. In our communities, we often see that individuals are standing up to fight for what they believe in or to seek justice. In the workplace, organizations are moving more aggressively toward team management and project-based operations. These settings have made it even more imperative that organizations invest in growing leaders that can step into management roles to execute their organizational. So, what do the experts say makes a great leader? Great leaders get straight “A’s” on their leadership test. They exemplify authenticity, accountability, adaptability and appreciation. Great leaders cast a compelling vision about where they want to go and they have faith in their beliefs - they create lasting solutions to problems not just band aide fixes and they create a thriving organizational culture. Great leaders stay positive, exhibit confidence and have a sense of humor - they are clear about their goals and decisive in their decisions - they lead with courage, passion and humility. Great leaders handle controversial issues or crisis calmly and confidently - they embrace failures and manage setbacks while taking responsibility for their actions - they learn from their mistakes and make the hard choices when they have to. Great leaders embrace change and lead by example - they communicate effectively and are transparent in their actions. These are what I call the brass ring objectives. These tend to be the buzz words of leadership development. These are the things that we often shoot for to become better leaders. While these are all good intentions and yes great qualities to have as a leader, they tend to be taught as the flavor of the month but, in reality, nobody embodies all of these leadership qualities. While a finely tuned racecar looks great and will perform competitively on the racetrack it won’t be a winner when you need to bring the groceries home from the store; your SUV will do a better job at that. So how are you going to become the next great leader? What will get you prepared to step into a leadership role, willingly or unwillingly, and have the best chance to succeed? We all take on leadership roles in very different ways. Depending on our talents and strengths as well as knowing our limitations we all approach the responsibilities of leading in very different ways. Through Gallup’s research, it was determined that the most effective leaders are always investing in strengths. Without an awareness of your strengths, it is almost impossible for you to lead effectively. In order to be an effective leader, you need to take stock of your personal characteristics and skill sets and assess your strengths and weaknesses. Further education in leadership and management coupled with continued professional development of your skills are key. In this age of digital enlightenment and rapidly evolving workplaces, the definition of effective leadership is constantly changing and to keep up, leaders need to continuously ask questions of themselves. In the popular TV show, Game of Thrones – Peter Dinklage plays Tyrion Lannister a dwarf living in this fictional world where physical strength and the ability to engage in warfare are rewarded. When asked why he reads so many books, his answer is to improve his already strong mind. Knowing that because of his physical limitations, that he would never excel as a warrior, his best chance to lead and succeed was through his intellectual abilities. He knew his strength was his intelligence and that by enhancing his strongest asset he could not only survive in a chaotic world but he would excel as a leader. Knowing your strongest assets are your best chance to be a successful leader. Understanding not only your strengths but those of your team and bringing those talents to bear in your leadership endeavors is your best path to being a great leader. Knowing your strengths and those of your team is like having a blueprint of why you are or why your team members are the way that they are is like having a manual on how to make yourself or your team members function at optimal efficiency. In my previous articles, I have been talking about knowing your strengths is understanding your “YUR”. Why you tackle certain challenges the way you do; why you react the way you do; why you lead the way you do are all encompassed in how you use your strengths. For example, if one of your strengths is communication you will lead best if you use this talent to influence others. Empathizing easily with others will take you a long way in your leadership responsibilities by helping to build strong relationships. Having strong analytical skills, will help you devise effective strategies while leading a team and if you are a person possessing an acute ability to focus then you will use this strength to lead your team in successfully executing their projects. As a person that has “Maximizer” as my top talent theme according to the Gallup StrenghtsFinder assessment, I understand that great leaders know that people are key to your success. One of the keys to being a great leader, in my opinion, is being able to instill power within others. Lifting others up, inspiring them to grow and bringing out the best in people is the best way to create more leaders. A true leader is able to inspire their team to encourage them to go beyond excellence and accomplish far more than anyone expects them to – or they expect of themselves. Great leaders earn their team’s respect. They do this by getting to know their team by listening, providing productive feedback and they encourage cooperation over competition. The other side of the leadership equation is encompassed in why followers follow. In the book written by Tom Rath and Barry Conchie, Strengths Based Leadership, Rath and Conchie outline how you can effectively lead using your unique strengths. I highly recommend reading this book and with it you will get a code that will allow you to take Gallup’s StrengthsFinder Assessment. If you are ready to find out what shapes your ability to be an effective leader and you are ready to maximize your “YUR” by discovering your talents, declaring your strengths and developing them into dynamic tools that will make you the next great leader V1H Consulting will help you to evolve your “YUR”. Martha Beck is credited with coining the quote, “How you do anything is how you do everything”. This quotation has been widely used in a variety of training seminars, motivational talks and many books and periodicals. It would suggest that how you manage most situations, challenges or other experiences in your life is probably a good indication of how you handle almost all of the occurrences in your life. When I first heard this quote in a leadership seminar a few years ago, I wasn’t quite sure if this was really true and, if it was, how I would process this information. Typically, statements that include words like anything or everything are usually very broad expressions and, quite frankly, I interpret them with guarded reservations. For example, when I looked at the relationships that I have had in my life, or some of the actions that I have taken, I didn’t necessarily see a correlation to that statement. My relationships varied widely and because I may procrastinate on doing yard work that didn’t necessarily mean that I procrastinated in doing other things, especially things that I enjoyed doing. Also, while my desk may get a little messy, my car stays clean. And, I certainly would not want to compare how I play basketball or sing, for example, with how I do other things in my life. So, while I did see some things that fit in this model, my personal experiences didn’t seem to fit this doctrine consistently enough to solidify it in my consciousness. Do you ever wonder why you make certain choices? Why you do what you do? Why you like certain things? In my last article, titled “YUR” which talked about how your talents and strengths determine why you do what you do, leads to the connection between strengths and the do everything scenario. Under the concept of “YUR” I have suggested that the core of why you do what you do is driven by using your strengths. As I viewed the do everything statement through the strengths lens, I could see a more definitive pattern that gave credence to this premise. As I developed the “YUR” concept, as it relates to StrengthsFinder, I began to see a pattern that provided more credibility to the notion that “how you do anything is how you do everything”. By looking at this quote in this new context, I saw it’s meaning in an entirely new perspective. There are obviously some things we don’t do well. Strengths psychology pioneer Dr. Donald O. Clifton asked the question, “What will happen when we think about what is right with people instead of fixating on what is wrong?” This philosophy dictates that it is better to focus on the things that we do well. Why are we better at some things than others? There is a reason: It’s our talents. Our talents help us to understand why you are the way you are – ergo, your “YUR”. Knowing your talents helps us to understand how we naturally think and feel and they can shed light into our behaviors. Talents are aptitudes, personality traits and interpersonal characteristics like empathy, strategic thinking and assertiveness. These are things that you are born with. Infused with knowledge and the development of skills, these talents will become our strengths. These are enduring qualities in each of us because they are basically hardwired in our brains. In short, they affect our ability to reach our goals and desired outcomes. So, when you are using your talents and working in your strengths you can feel confident that when you do anything that you will find consistency in how you do everything and you can achieve the results that you desire when you know your talents and use your strengths to succeed. When we look at others, such as, mentors, role models, leaders, etc. we look to them for inspiration and guidance but we also look to them to see if they do anything/everything consistently. Those that we admire for their accomplishments and are at the top of their game in what they do are using their strengths at the highest levels. Whether they are athletes, entertainers or in leadership positions they have discovered their talents and honed them to gain the maximum affect. It is their dedication, tenacity and work ethic that are driven and supported by their strengths. They repeat what has been working for them while enhancing their skills to improve outcomes. For example, a basketball player uses his or her skills as a 3-point shooter to have maximum impact on the game, entertainers use their talents to regale their audiences and leaders use their strengths to influence others to initiate change. Therefore, I have determined that this notion of how you do anything is how you do everything can be a good thing. If you harness your talents and nurture them and ultimately make them your strengths, you too can use them to achieve your desired results. I encourage you commit to growing your strengths and use them to do everything. When you master the art of unlocking your strengths and step into the version of yourself that uses your strengths to do anything, then you will find that how you do everything will result in more positive results. Management expert, Peter Drucker says, “everyone ought to know what their strengths are’. How you do anything is how you do everything when guided by your strengths creates patterns of success. Your strengths are your means of making positive contributions in the world. Your strengths are your inborn, hard-wired resources for good works. If you’re not making the most of your strengths, everyone's missing out. Start maximizing your strengths. Because there’s a 1 in 33 million chance of you having the same top 5 talents in the same order as someone else, YOU are unique. Be inspired to live in your strengths zone. Join us in the world of strengths. Focus on Your Strengths. If you have any questions about anything that you have read in this article, or you’d like to talk to us about helping your team to understand the power of Strengths then connect with us today to see if we might be a good fit to help your team or organization build a Strengths Based culture. Unlock Your Strengths for Success, A Basic Introduction. At one time or another we have all been on the quest to find out “Who you are” in work, business or life. Who you are is generally determined by your beliefs, your character, and your values. These qualities are forged over time; through the influences upon our lives; our upbringing; our education and reactions to things that life has presented to us. While knowing who you are is important, knowing why you are the way you are can provide a higher level of understanding about yourself and deserve further exploration. Over your lifetime through experiences of trial and error, you consciously and subconsciously demonstrate your talents and subsequently when you use those talents they influence the outcomes in your life. Using your talents is a process of discovery not invention. When I was growing up, I played basketball with my friends and eventually found out that I was never really ever going to be that good at the game. On the other hand, swimming came more naturally to me and I used that talent to become a lifeguard. The same thing happens with our ability to communicate, to build relationships, to influence outcomes or to execute complex task. Just as I worked to develop my swimming talents into strengths that ultimately allowed me to pass the lifeguard test, developing talents into strengths in these other areas will promote success in other facets of your life. Have you ever thought about why you are in the position that you are in? Why you are in the relationships that you are in? Why you have the successes in your life? My work has led me to propose that the answer to “why you are…” (YUR…) is determined by your talents and strengths. With our talents being a natural way of thinking, feeling or behaving and our strengths being the ability to consistently provide near perfect performance, these elements are major determinants of why you are the person you are. When we identify and apply our strengths, we act within our circle of competence. We use our strengths to navigate challenges, effectively. When we act within our circle of competence, we become more efficient, productive and successful. Your “YUR” is your collective talents and strengths that denote why you do what you do, react the way you react and respond the way you respond to life’s stimuli. If he didn’t know and have those strengths his choices of rescue options would be quite different, he would have to find another way to attempt the rescue. While we don’t have super human abilities like Superman, we do have human abilities that we can make super. In Simon Sinek’s book, "Start with Why", Sinek talks about the importance of understanding why individuals and organizations do what they do and that by knowing the right question will drive them to the right purpose. Understanding your strengths manifest in the understanding of why you do what you do and the choices we make. This understanding is key to mapping out success strategies, making decisions, solving problems and enjoying life. When it comes to the question of “Why?” we may ask, why am I inclined to “go with the flow” in most situations? Why do I have a tendency to take control of a situation so easily? Why am I so competitive? - Why do I have such a strong desire to learn new things? Why do I love meeting and interacting with new people so readily? These are all examples of themes that drive us to react and behave in the ways we do. Learning what your talents are is easy. The Gallup Corporation developed the Clifton StrengthsFinder assessment that measures 34 distinct talents. When you take the assessment, you are shown how the 34 strengths themes line up for you. Those of us in the StrengthsFinder community often focus on the top 5 themes which tend to be our most dominant and those that we go to most often. These are the areas where you have the greatest potential to develop strengths. The Gallup Corporation indicates that there is a 1 in 33 million chance that someone else will have an identical top 5 theme sequence. That means that your strength themes make you definitively unique. Your “YUR…” is equivalent to your DNA. It is your thinking combined with your actions. Just as your DNA determines your physical makeup, your abilities and attributes; in other words, “who you are”. Your talents and strengths makeup the “why you are” in life. What determines this extraordinary uniqueness is how your strengths work together. It is akin to a quantum theory explanation. The quantum analogy depicts the idea that your combined strengths work independently and collectively to fulfill a purpose. As an example, imagine two sports car drivers that are preparing to race each other. One driver’s car has five gears and she is skillful at switching from one gear to another. The second driver has five different cars, each equipped with only one gear. For him, his potential outcome is limited in having to choose a car that is confined to only one gear. This illustrates how when we are not working in our strengths we are less likely to be consistently successful. For example, my top 5 strengths are Maximizer, Arranger, Strategic, Analytical and Responsibility so whenever I go out to run errands, I analyze the situation then I strategically arrange my trips responsibly to maximize what I can accomplish. Consequently, with all 5 of my strengths working in concert, I achieve the best outcome – this is my “YUR...". For those of you trying to find out who you are, I wish you the best of luck. For those of you that would like to know why you are… we have an answer for you. Sharpening Your Talents and Allowing Your Strengths to Manage Your Expectations...By Larry Hammond, Sr.
Our expectations are our beliefs that something is likely to happen. Expectations are formed because we anticipate certain outcomes as we go about our life’s activities. We all have formulated particular expectations from the simple and mundane to the complex and serious aspects of our lives. When we turn on a light switch, we expect the light to come on; when we go to start the car, we expect the engine to turn over. When we travel by airplane, we expect the crew and equipment to work cohesively to get us to our destinations safely. We depend on reliable expectations to make decisions and to manage the activities that we undertake in our lives each day. While we would like all of our expectations to transpire as we predicted, that is certainly not always the case. This is especially true when it comes to expectations derived from the actions related to other people; our family, friends and colleagues. How we process these types of interactions becomes much more complicated. For example, how often have you expected your children to do one thing and they do the complete opposite? How many times have you had an encounter with a friend or associate where their actions have totally taken you by surprise; sometimes even shocked you? And, can you count the number of times that you have engaged a co-worker or colleague and gotten something entirely different then what you expected to get from that person either in action or work product? We develop our expectations based on our experiences and our encounters. From a young age, we begin to learn what to expect when we do certain things; the reactions that we get from our parents and others when we act or perform in a particular manner. We learn to modify our expectations as we gain new information and knowledge. For example, if you touch a hot stove you may expect that all stoves are always hot. As we grow and discover new information, we modify our expectations accordingly and we can make better decisions as we make more informed assessments of our expectations. In the case of a finely tuned basketball team, such as the 2017 Champion Golden State Warriors, you would imagine that they refine their respective talents to win games and team members rely on their team mates to exert their strengths to ensure they achieve victories and championships. For example, the Warriors turn to Steph Currie to make 3 point shots and there is a strong expectation that he will make them. Knowing your team’s strengths gives you a clear-cut advantage in implementing strategies and achieving success. When a manager and other team members are confident that a team member will perform the necessary and comprehensive research to move a project forward; when the team is assured that a co-worker will take on a responsibility, take on complex tasks and move through those tasks with skill and grace; and when a team can rely on their cohort’s abilities and talents then you have a team that can EXPECT success! Conversely, expecting something from someone that they are unable to deliver can be frustrating and less productive. Leaders who know how to manage expectations are able to more seamlessly navigate the choppy waters within their organizations. Why? Because they know how to communicate, organize and direct conversations around their team’s talents and strengths, thereby being more likely to successfully predict positive outcomes that ultimately achieve success for the team. What if you could be more confident in your ability to predict expectations? Building a Strengths based team is key to having the ability to predict expectations. Teams that know and intentionally use their unique talents and strengths have a significant advantage in managing and predicting expectations. Teams built around this philosophy learn to appreciate each other’s strengths and develop a level of trust in their team members’ abilities to deliver. They also know how to combine their strengths with other team members to directly enhance positive results. Communication – Having teams grounded in their strengths allows for the team to express ideas in a common language that enables them to build complex connections between members. These connections increase the ability to predict expectations as team members are well grounded in what is being communicated to the team and among stakeholders. This promotes clarity. Clarity – Using strengths as a basis for fostering effective communication among the team is the first step to solidifying clarity. When goals and objectives are clear and well defined, there is a much greater probability of achieving success. Teams that are fully operating in their strengths are much more likely to perpetuate understanding of intentions and purpose which boost assurance in the team’s capabilities, thus building confidence. Confidence – Strength-based teams are confident in their abilities, their team members and in achieving the desired outcomes. Having high levels of confidence on a team is an essential predictor of expectations as to how the team will perform. These elements are enhanced dramatically by discovering, declaring and developing Strengths. Your talents are your tools - Sharpen them and let your strengths help you manage your expectations. Larry Hammond, Sr. – Certified StrengthsFinder Coach and Principal with V1H Consulting. In today’s work world, having highly functioning teams is critical to organizational success. The synergistic relationships that are formed when teams work collaboratively and efficiently is key to organizations that are highly effective. Some years ago during my studies in management, I crafted a paper that expanded on the idea that our management structures would evolve to rely on teams to accomplish organizational goals and objectives. This, in fact, has occurred. Team management is widely used to facilitate organizational mergers and has been touted as the ultimate competitive advantage that can deliver excellent results. A team technically defined is a collection of individuals organized to accomplish a common purpose, who are interdependent, and who can be identified by themselves and observers as a team. Through combining various employees into strategic groups, a team-based organization can create synergies through team processes. Due to organizational complexities, global and technical factors, the importance of combining competencies and building strong teams is increasing. Cross-functional teams utilize a wide variety of unique skill sets to build teams capable of achieving complex objectives. When executing team goals, it is important to establish unambiguous objectives and build strong interpersonal efficiency. Some hallmarks of successful teams are that they work towards clear, compelling common goals. They have a mutual trust for their team members and bring complementary skills to the table. And, they need to exercise mutual accountability, including the leadership. So, how do we create a superior effective team? Obviously, one important factor is the ability to work together. Generally speaking, in work and social environments, connection is important to us; we need each other; and we derive strength from positive relationships. We need to be able to give and receive to make connections. This, of course, requires that you trust and let others help you. It also requires that people need to give and receive without judging. We have been taught not to attach value to asking for or needing help. In some cases, it is actually portrayed as a sign of weakness. Consequently, needing and asking for help tends to expose a level of vulnerability that can cause dysfunctional team dynamics. As I have seen in my work, the best way to build a successful team is to apply a strengths-based methodology. A strengths-based team is a group of imperfect but talented individual contributors valued for their strengths, who need one another to realize individual and team excellence. Strengths-based teams create sustained growth and success by continuously investing in each other’s strengths while building better relationships within the group. They are able to collaborate more effectively while achieving greater performance, more success, and higher levels of engagement. Team members have a clear understanding of their individual and collective strengths and performance gaps. They have a common language to describe each other’s talents, strengths, weaknesses, and performance goals and expectations. They intentionally structure activities to maximize the team’s talents. They develop support systems and appropriate “workarounds” for gaps in strengths and performance. They are highly collaborative and have a number of complementary partnerships. These attributes reinforce the team’s cohesiveness and collaboration. They help team members to engage in the process with an open heart and opened mind. They allow for team members to listen with empathy and to better understand the emotions that people are experiencing. Team interactions allow for constructive criticism as team members care about what people think. As members work more cohesively around their strengths, they are less likely to make comparisons that become unhealthy to the team. These comparisons can kill creativity and joy. Strengths-oriented team members tend to stay in their own lane. They stay away from blaming others for team failures - blame kills organizational cultures. You increase the team’s awareness of the principles of strengths-based development. You increase team members’ awareness of an appreciation for their individual and collective talents and strengths. You track and communicate the achievements (the specific performance results) that come from their awareness and application of strengths. Creating strong teams can be challenging. Group dynamics can often bring their own set of hindrances a team’s success. But, when team members are grounded in their strengths; when they work collaboratively; when they are not afraid to ask for help; when they work in their collective talents; and when they can celebrate each other’s successes as well as those of the team, then you have truly created a winning interdependent group that exemplifies the team sentiment, “I serve us so we can serve others”. If you would like more information on how to create a strengths-based organization contact V1H for a free Lunch and Learn. Written by: Larry Hammond, Sr.
Traits that define a good leader are numerous. Even the definition of leadership has been debated for decades. Successful leaders have been described as people that show confidence, that have a positive attitude, that are good listeners and insist on excellence. Good leaders realize that accountability and responsibility are essential to success and developing others is as important as developing yourself. Making decisions is one of the most important functions performed by leaders. Many of the activities of managers and administrators involve making and implementing decisions, including planning the work, solving technical and operational problems and creating job assignments. Over the years and through my experience I have come to believe that at its core, true leadership is doing the right thing and making the right decision at the right time. Earlier this year, the deadliest mass shooting in U.S. history occurred at an Orlando nightclub. During this catastrophic event, Chief Medical Examiner Joshua Stephany had been filling in as medical examiner for Orange and Osceola counties in Florida for about a year, when he was faced with addressing the aftermath. Dr. Stephany made the decision to separate the bodies of the 49 victims from the body of their executioner. “There was no legal reason, no protocol” for separating the gunman, Stephany said in an interview. “It’s just what I felt was right”. While everyone may not desire to take on a leadership role in an organization, it is now becoming more imperative that people within organizations be able to step up and adopt a more hands on approach to problem solving. Twentyfirst century organizations need to be nimble and respond to challenges quickly and effectively to be successful. In order to do so, they will need their team members to take on leadership roles to be responsive to the challenges presented. In today’s work world, it is more important than ever to develop leaders within your organizations. The increasing rate of change in the external environment of organizations and the many challenges facing leaders suggest that successful leaders will require a higher level of skill and some new competencies as well. As the need for leadership competencies increases, new techniques for developing them are being invented and old techniques are being refined. A systems approach to leadership development will become more common as more organizations realized that this activity is strategically important for longterm organizational effectiveness. There has been extensive research on the effects of professional development training in organizations. The research suggest that this usually increases job satisfaction and performance. After decades of studying some of the most successful employees, leaders and enterprises in the world, Gallup Inc. has found that organizations achieve the highest levels of success by investing in their strongest asset – their people. Developing leaders in an organization offers a variety of potential benefits for the manager, the subordinate and the organization. One benefit is to foster mutually cooperative relationships. Potential benefits for subordinates include better job adjustment, more skill learning, greater self-confidence and faster career advancement. The leader can gain a sense of satisfaction from helping others grow and develop. Potential benefits for the organization include higher employee commitment, higher performance employees who are better prepared to fill positions of greater responsibility in the organization as openings occur. Successful organizations beyond the 21st century will be defined by how well they develop leaders within their ranks. Employees need to collaborate across the organization to achieve organizational goals and objectives. This often requires people to step into leadership positions to head teams and coordinate projects. Developing leaders provides for successful succession planning, highly performing teams and successful project implementation. Organizations that develop internal leaders are better able to adapt and implement changes in the organization. When developing leaders, in any organization I have worked with, my successes and most effective outcomes have been when the focus is placed on employee’s strengths. Using a strengths based approach to leadership development is the best way to instill confidence, develop leadership skills and to build a collaborative culture that supports emerging leaders in an organization. Many organizations are under using the strengths of their employees partially because they have not identified what strengths they have individually or collectively. Bringing these out in your team will be a tremendous benefit to the organization. Gallup’s research has shown that organizations that develop their teams around strengths see increases in employee engagement and results including 14.9% lower turnover and 12.5% greater productivity. A strengths-based approach incorporates identifying the ways in which employees most naturally think, feel and behave and building on those talents to create strengths – the ability to consistently provide near perfect performance in a specific task. A strengths-based approach combines the requirements of the job and performance capabilities (or competencies) demanded by the organization with individuals’ strengths to optimize performance. Using a strengths-based approach to develop leaders in the organization is key to maximizing the potential for successful integration and the embodiment of a leadership culture. It capitalizes on the positive outcomes that a strengths-based approach provides, such as, making progress, employees enjoying what they do and them having a high interest in their work. By positioning employees in ways that allow them to use their strengths every day and integrating strengths into key processes and systems organizationwide will yield a multitude of benefits for the organization, including increased engagement and retention. A strengths-based approach aligns an organizations’ policies and practices and anchors them in a common philosophy. As we talk about developing leaders, what it really comes down to is outcomes. When the circumstances arise or as in the crisis in Orlando, will the people in your organization stand up in leadership roles to do the right thing and make a positive difference? Will they use their strengths to act with confidence and resolve to advance the organization’s goals and vision? When Dr. Stephany made the decision that he did he didn’t do it for notoriety; he didn’t do it because he had to; he did it because it was the right thing to do and he was truly serving the people that he was hired to serve. Dr. Stephany used his strengths to lead with dignity and conviction. The Simple Engagement Tool You Can’t Ignore! A new 2016 Gallup Report, “State of Local and State Government Workers’ Engagement” http://bit.ly/29TaPj0 shows current employee engagement and disengagement figures in 43 states. The findings illustrate the need for these governments to find strategies to help curb disengagement. Engagement is one of the key areas that local and state government leaders can invest in and according to Gallup can’t afford not to. They found that employee disengagement costs the U.S. economy roughly half a trillion dollars a year. Although these numbers are overwhelming on one level, let us take a look at one organization that I can personally attest to in my previous work. As a manager in local government, my personal goal was the importance of dispelling the notion that public employees are less productive. Striving to change the way people view service delivery in the public sector. One of the most effective ways that I found to accomplish this was by working to find the best in people by accentuating their unique qualities. It’s no secret that managing in the public sector is different from managing in the world of business. When determining the best approach to improve staff engagement and motivation, the culture in the organization is a critical element in how improvements are made. This is especially important in the public sector environment. State, county and local government organizations have the special responsibilities of providing unique services to their respective communities. Governmental entities tend to have a monopoly on the services they provide, such as, police, fire and transportation, which often negates the competitive element and serves as a disincentive to innovate and to be creative. According to Gallup’s report 29% of full-time state and local government employees are engaged at work and this includes police, firefighters, teachers and city and state officials, but 71% of all employees are not in these kinds of jobs. When compared to the private sector, public sector entities often lack the kinds of incentives and opportunities that would allow for potential monetary impetus to motivate employees, as well as, other potential benefits. Many join the private sector with the expectation of earning significant amounts of money while many enter public service to serve others – managing the two are quite different. It is certainly true that many public sector employees are driven by the desire to serve their communities or that they are inspired by a yearning to help others. This begs the question as to how public employees stay engaged and stay motivated. Realizing that monetary incentives are not always the answer, they can be somewhat limited in the public arena. With these financial constraints – pay raises, stock options, bonuses and other perks, government managers have fewer options to motivate and keep employees engaged. Faced with this reality, government managers need to focus on agency missions and impact while finding other nonfinancial means to reward employees. Managers must motivate staff by involving them in the decision making process and helping them to see and appreciate their individual contributions within the organization. Great management always begins with understanding the unique characteristics of the workforce, figuring out what makes employees tick and creating an environment in which they can and want to do their best work. Despite prevailing negative attitudes about government workers – that they are overpaid and underworked - many public sector employees find their careers rewarding. A Harvard Business Review study reported that public sector employees are more motivated by job content, self-development, recognition, autonomy, interesting work, and the chance to learn new things. Research has shown that public servants find meaning in their work by making a positive difference in the lives of the citizens that they serve. That being said, government tends to have fewer ways to measure progress and success. Since there are no profits to count and measuring spending does not necessarily equal success, progress is calibrated by using various performance measures. While, at times, in the public sector it is hard to measure achievement, seeing that progress is made is crucial to operational efficiency. There are few things that are more engaging than making important progress towards stated goals and objectives. I would argue that, in the public sector, it is the most important thing. In many cases, in the public sector, there is an effort to make employees well rounded to give them the ability to work in multiple areas. These employees are also subjected to managers that focus on fixing weaknesses as opposed to developing their strengths. This is self-evident in the performance appraisal process were employees are told that in order to advance their career that they must broaden their skill set. Many appraisals include words of congratulation for a year of excellent performance, but later, the conversation changes to how to improve in areas where the employee struggles. Focusing on Strengths equals more engagement. In the work that I do now, I help people find their strengths. I have learned that individuals, teams and organizations function better when each person is working in their strength zones while avoiding areas of weakness. Doing this also plays a major role in the success or failure of an individual, team or organization. According to a previous Gallup report, employees who receive strengths feedback have turnover rates that are 14.9% less than employees that receive no feedback or negative feedback. I believe that it is a leader’s responsibility to facilitate a strengths based approach to management. Using this approach, people are more fulfilled, confident, productive, focused and engaged. The most effective managers invest in their employees’ strengths. In order to be effective in the public sector teams need to be highly collaborative and have a number of complementary partnerships. 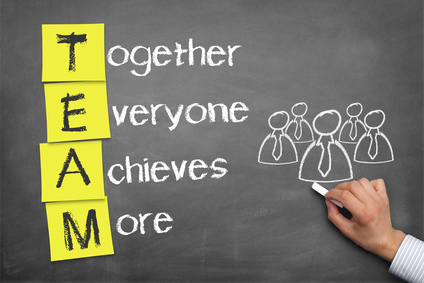 Having effective collaborative teams is imperative to ensuring that these organizations are successful. Using a strengths-based approach in the public sector is the best solution because, as mentioned, the reasons that people work in public service can be quite different than the reasons they work in private industry. In Simon Sinek’s book, “Start with Why”, Sinek asserts that understanding the purpose of what you do (“the why”) is key to achieving excellence in any organization. He points out that making money is a result and is not “the why”. The public sector can often have a hard time identifying its “why” or how to sustain its purpose. Public servants need to be clear as to who they serve, why they do what they do and why people should care. This means that public servants need to clearly understand that what they bring to the organization matters and that they are empowered to make appropriate decisions. They need to be emotionally and psychologically engaged at work to be truly successful and effective. In government, there is not much room for error. The things that you do are often viewed through the lenses of an inquiring public that wants to know how their hard earned tax dollars are being spent. Leaders who run these programs must use whatever is at their disposal to be successful. Then I pose the question, what if they could leverage more of who they already are in order to accomplish their missions? In a recent research study, the Gallup organization found that employees and leaders were 6 times more likely to be engaged and productive by understanding their strengths, applying their strengths and being provided opportunities to practice their strengths. Also, teams that are actively engaged in intentional strengths based experiences see overall performance improve up to 30% (Wagner & Harter, 2006). In today’s demanding workplace, people not only need to work hard but they need to bring creativity and insight into their efforts. (Peter Drucker says that is what a knowledge economy is all about). Creativity and insight requires hearts and minds commitment. Therefore, innovative solutions to problems calls for people to be fully engaged and to care about their purpose. This requires a spur beyond the merely monetary. Using a Strength based approach is making the potential a reality. Real engagement, doesn’t flow from trying to convince yourself that what you are doing will change the world for the better. True empowerment must be sought in how the scope of your work allows you to reach your highest potential. Meaning in work isn’t vested in the product or outcome, but rather in how the daily experience of doing your work helps you to develop as a human being. By exercising autonomy and allowing people to work in their strengths, is the key to topnotch engagement and employee motivation. Having the confidence that is garnered by working in your strengths is paramount to successful execution. Honing and developing what is best in employees is the right formula for sustained excellence. In as much as people need to see value in what they do, they also need to see themselves as better people for having done the work that they do. Incorporating a strengths based approach into employee development programs in the public sector gets at the heart of creating engaged teams and workers that are committed to organizational excellence and achieving progress. Find out more about strengths based workshops and training in our services area. Get your free one page gift which will provide you with a introduction into why using your strengths will improve every aspect of your work and personal life. StrengthsFinder® , Clifton StrengthsFinder® , and each of the 34 Clifton StrengthsFinder theme names are trademarks of Gallup, Inc.